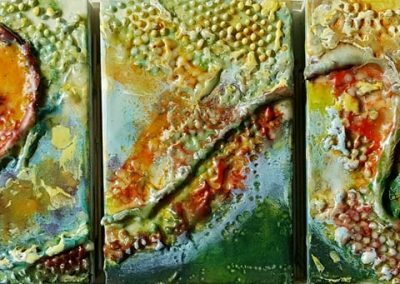 This collection of paintings shown below (and slow to load) began in late 2017. 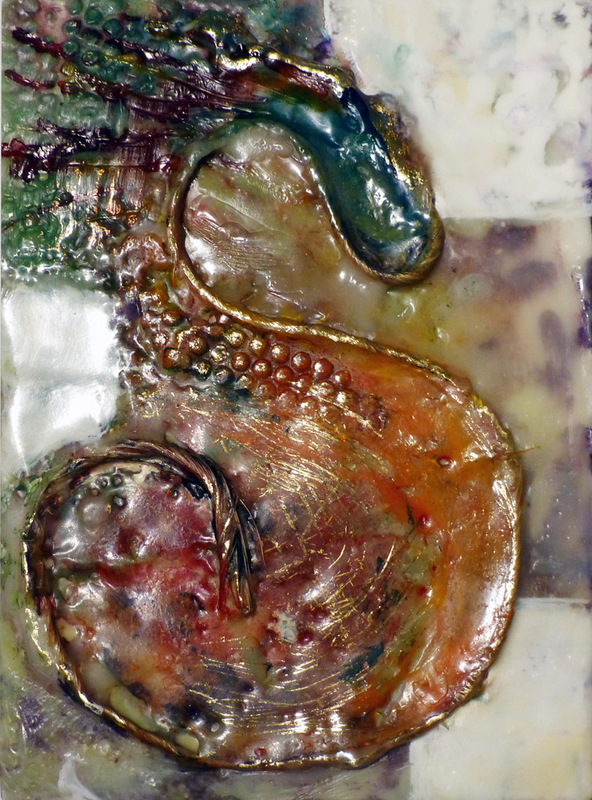 The most recent work starts on this page and gets older as you progress through the pictures. 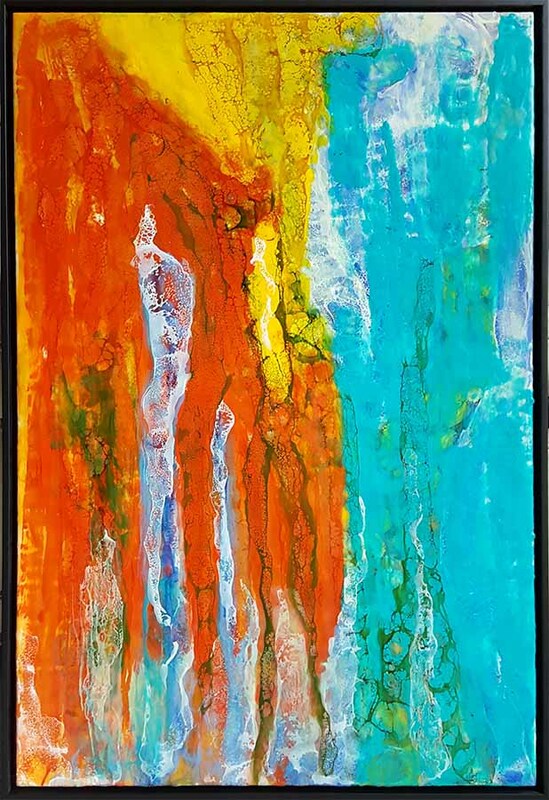 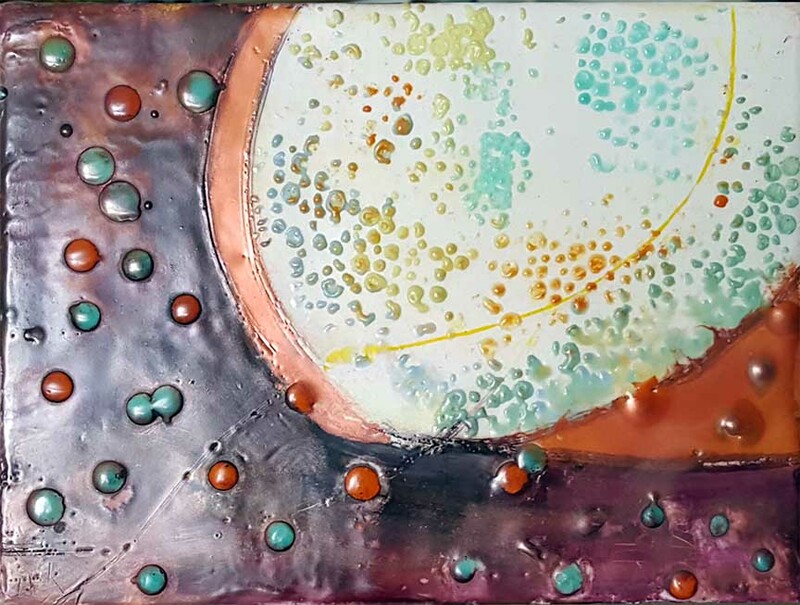 My paintings were generally on cradled panel; however, last spring I received a Greater Columbus Arts Council Resource Grant to allow me to work larger and to experiment with Gatorboard, a strong, lighter-weight substrate. 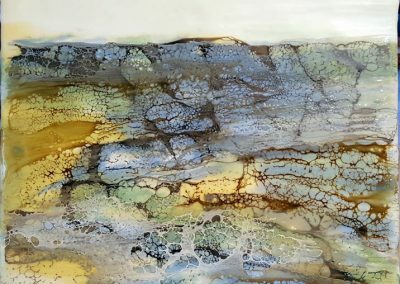 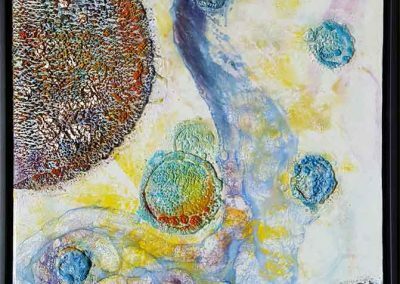 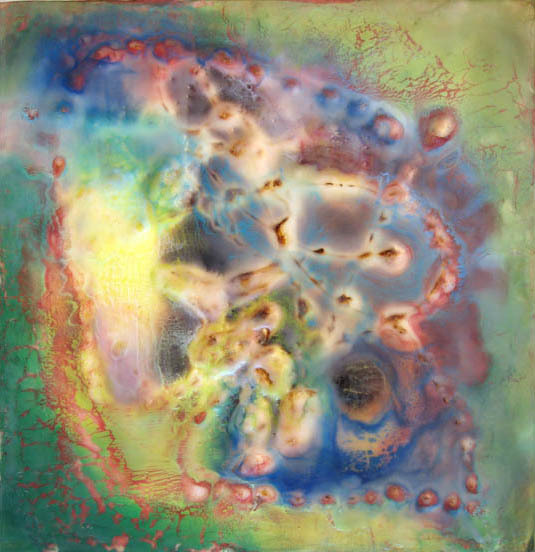 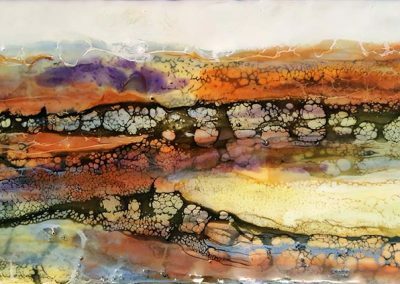 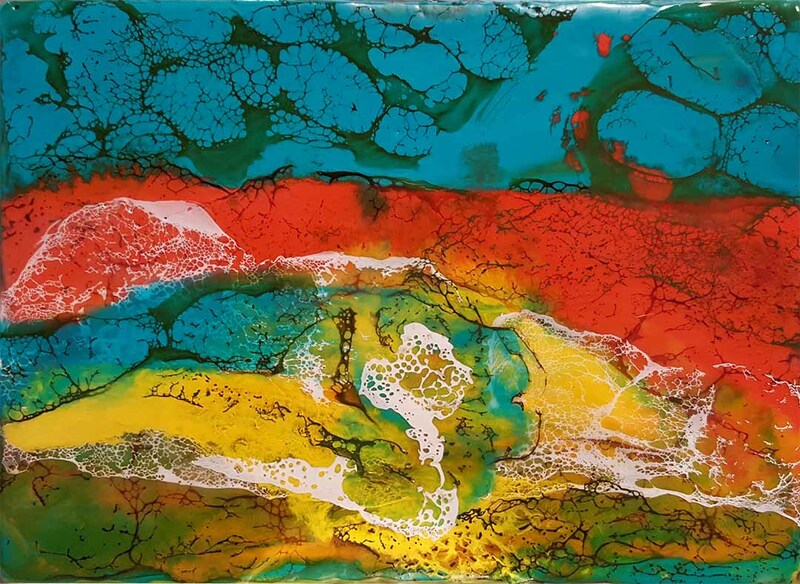 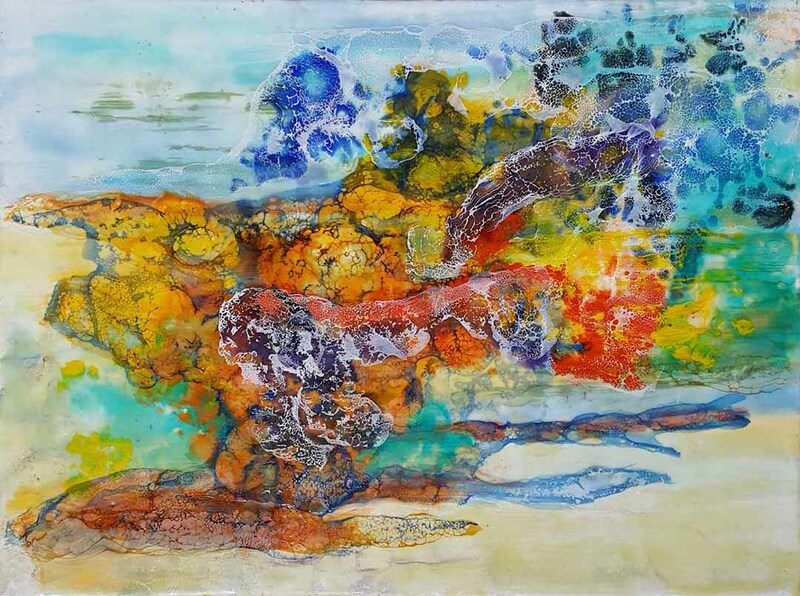 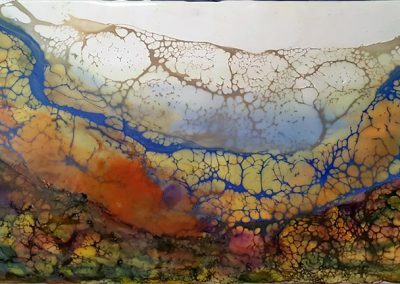 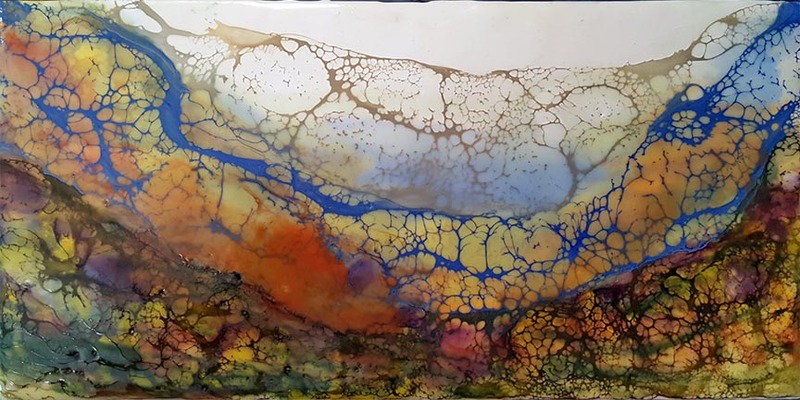 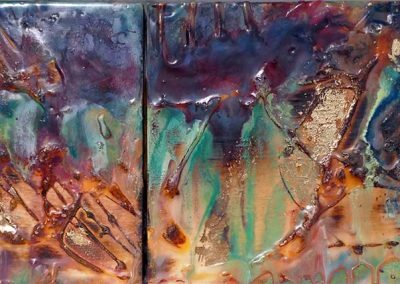 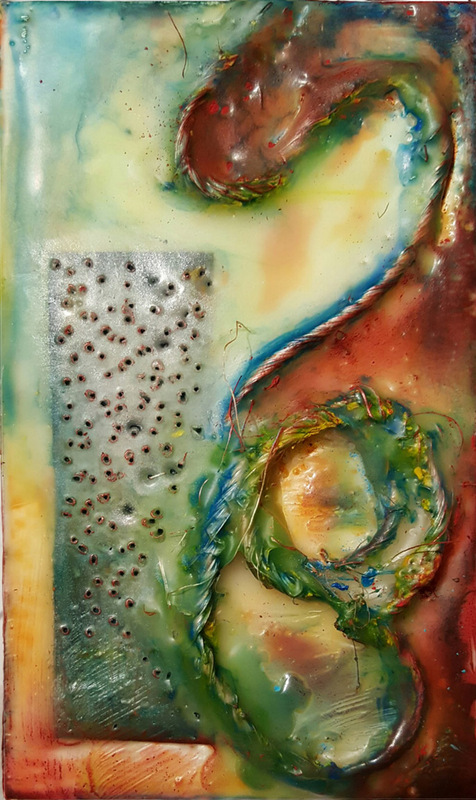 Most of my work is encaustic with multi-media (meaning I have added something such as ink, pastel, or shellac). 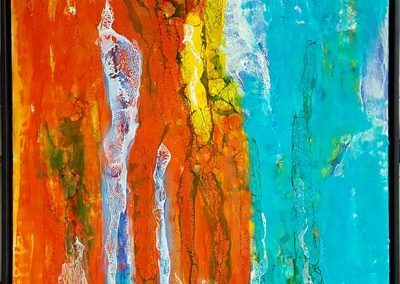 Click on a picture to see the full piece. At the end of the paintings (my beginning) you will see Artist’s Proofs on paper where I first experimented with new materials and techniques. 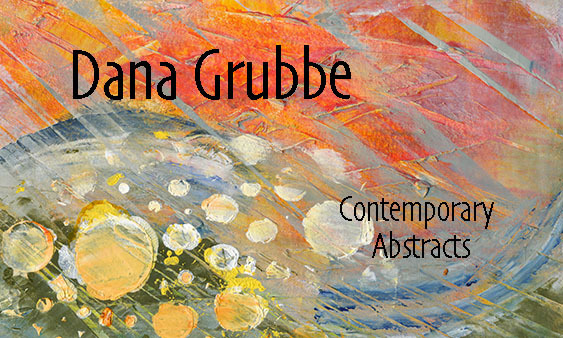 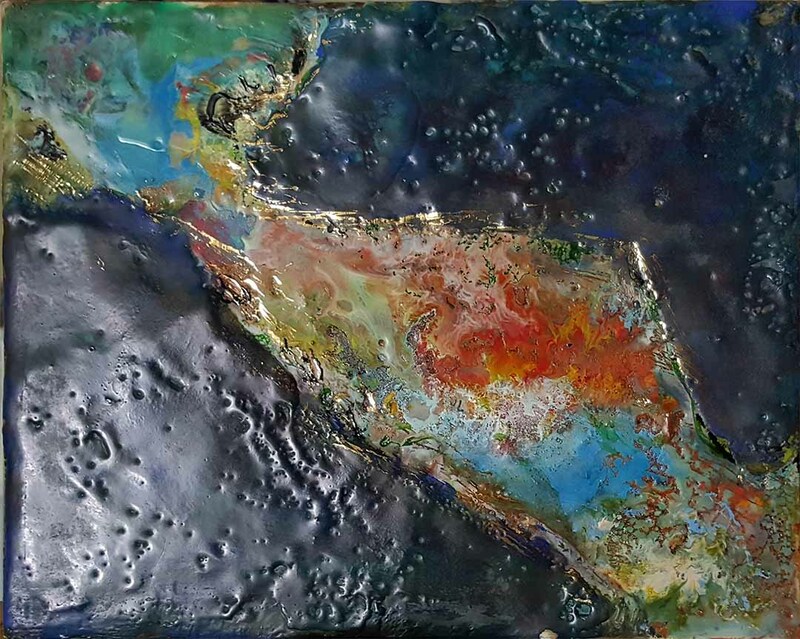 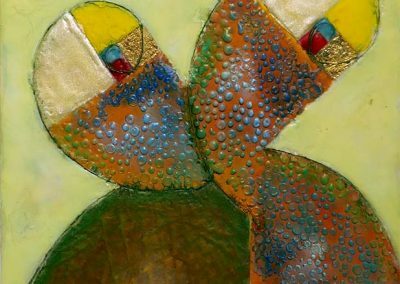 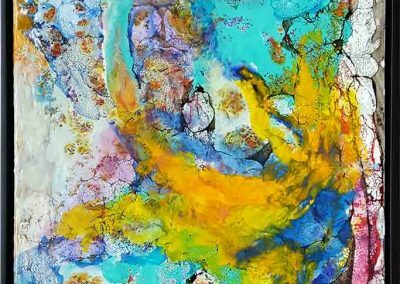 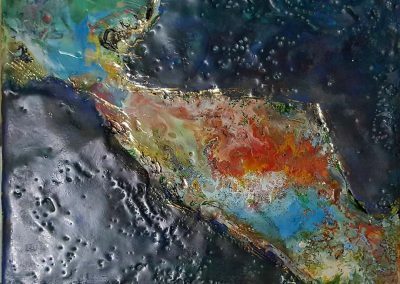 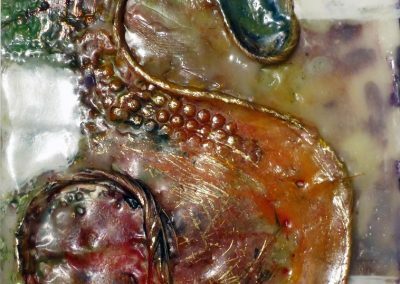 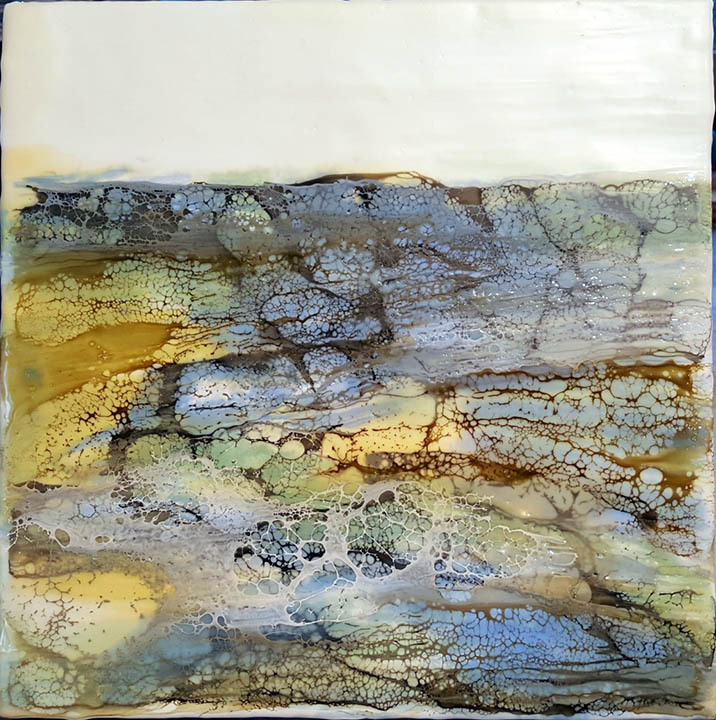 Wondering about the history of Encaustic painting or how to care for you artwork? 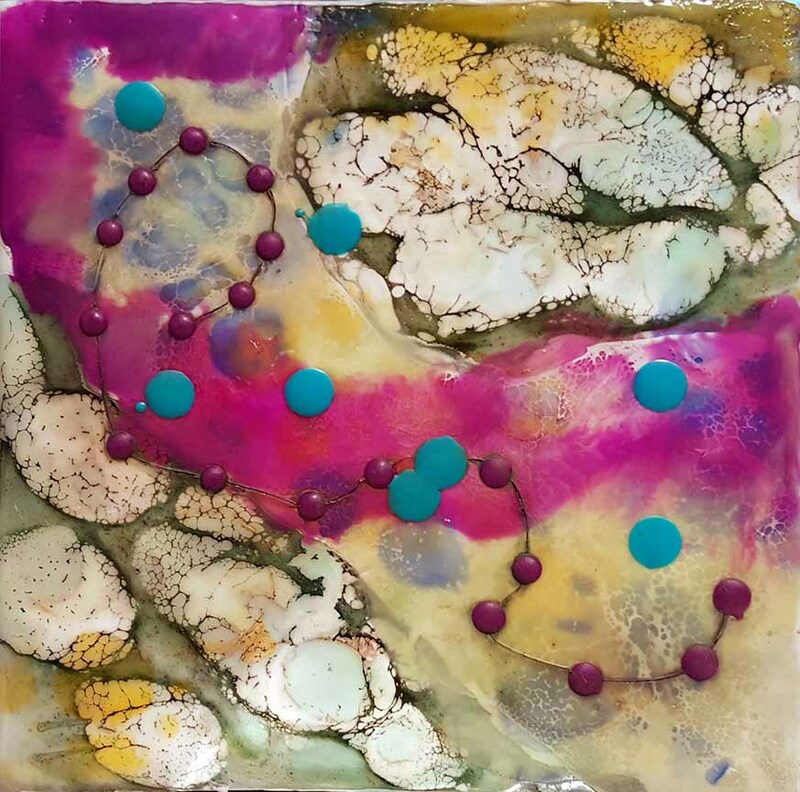 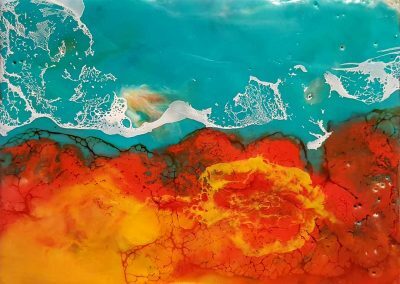 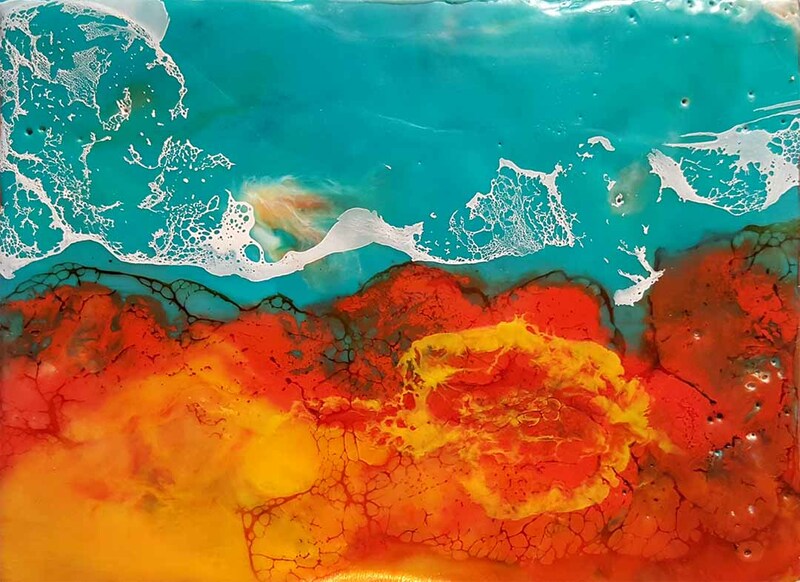 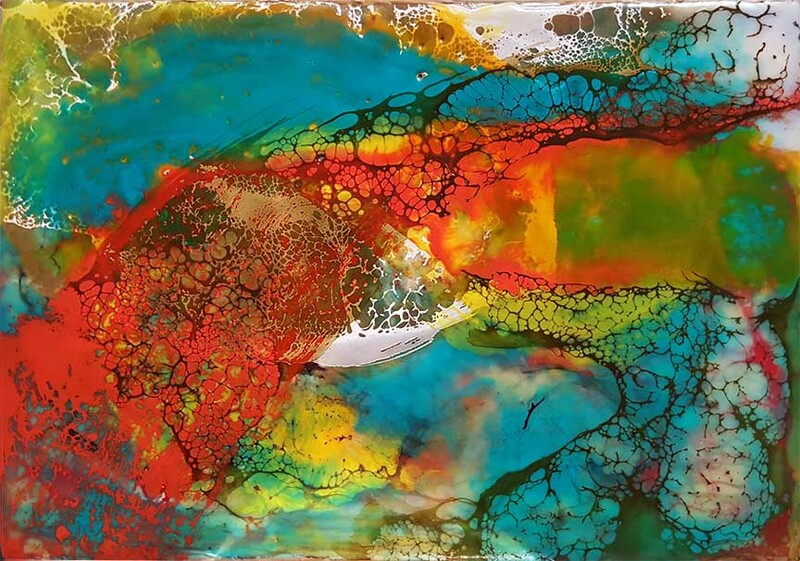 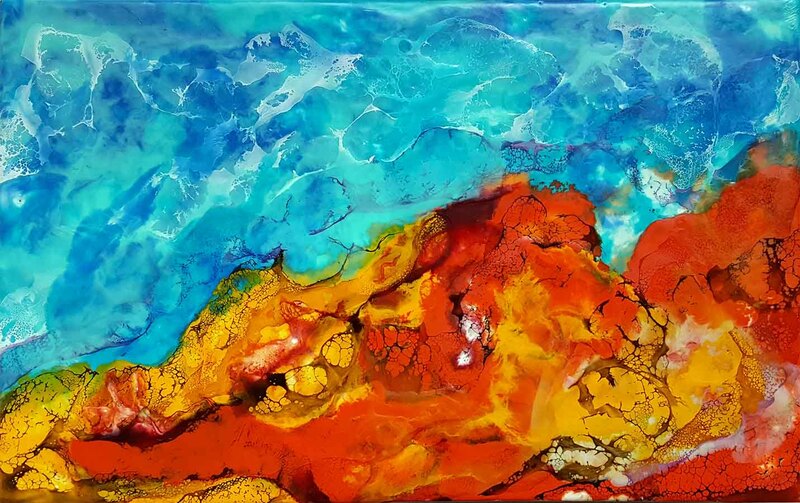 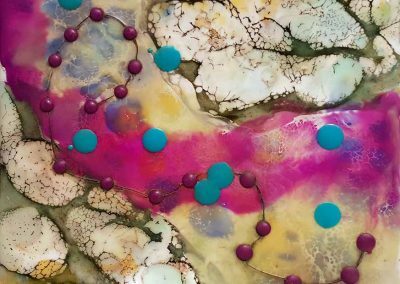 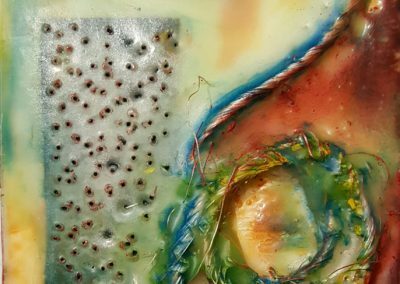 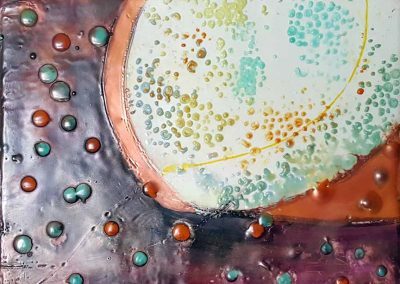 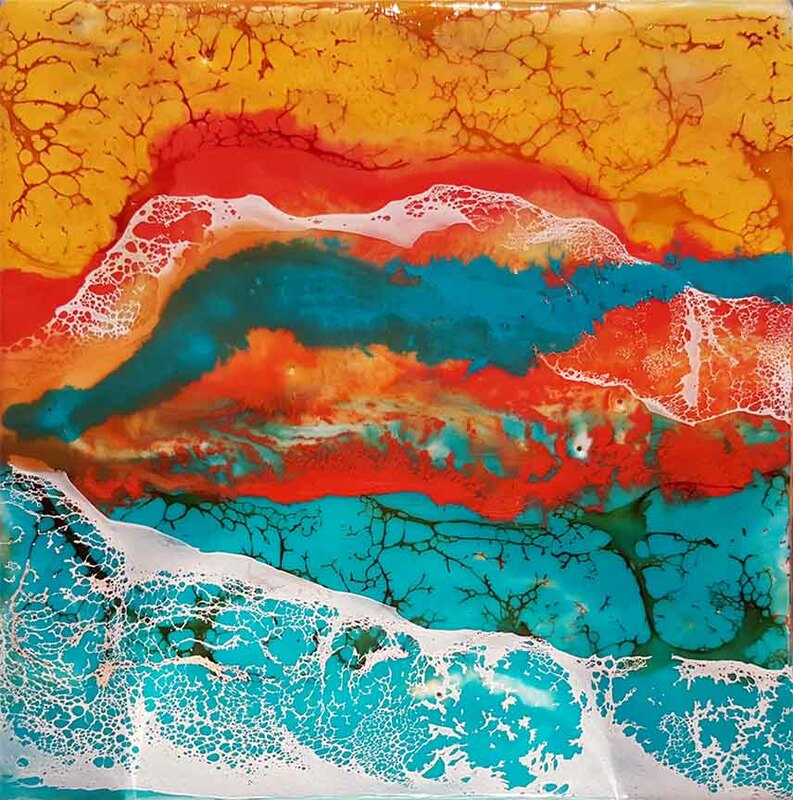 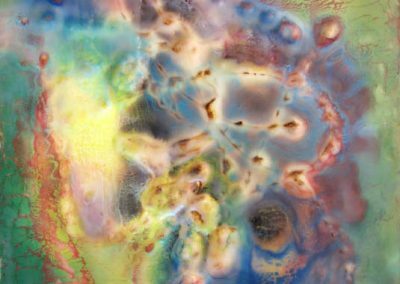 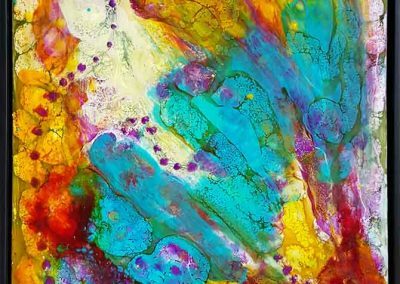 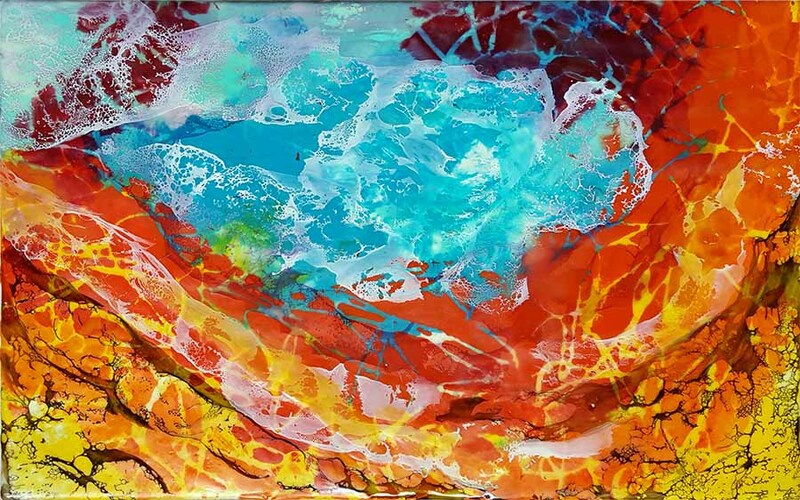 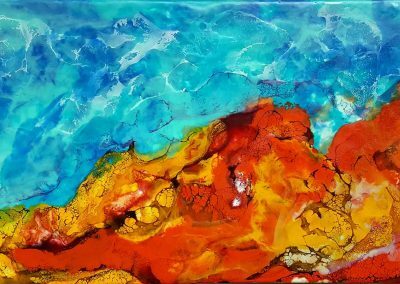 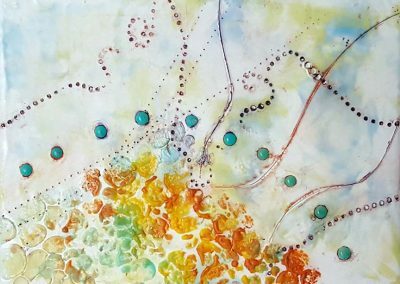 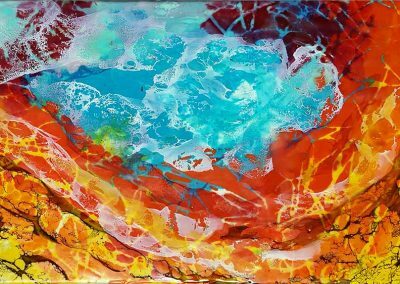 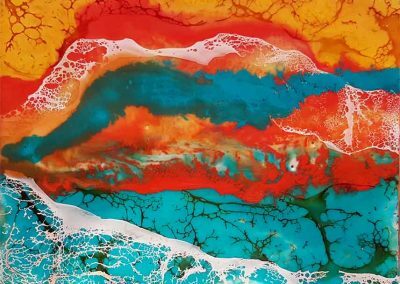 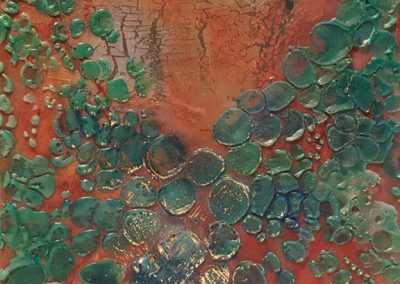 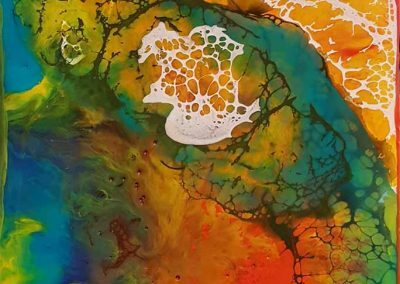 Check out Encaustic Info! 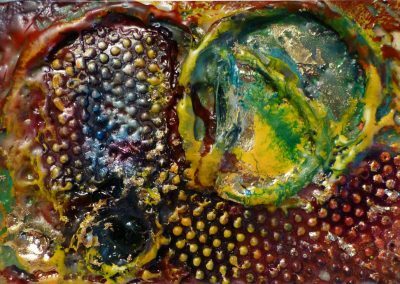 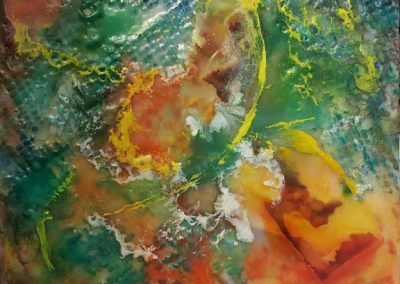 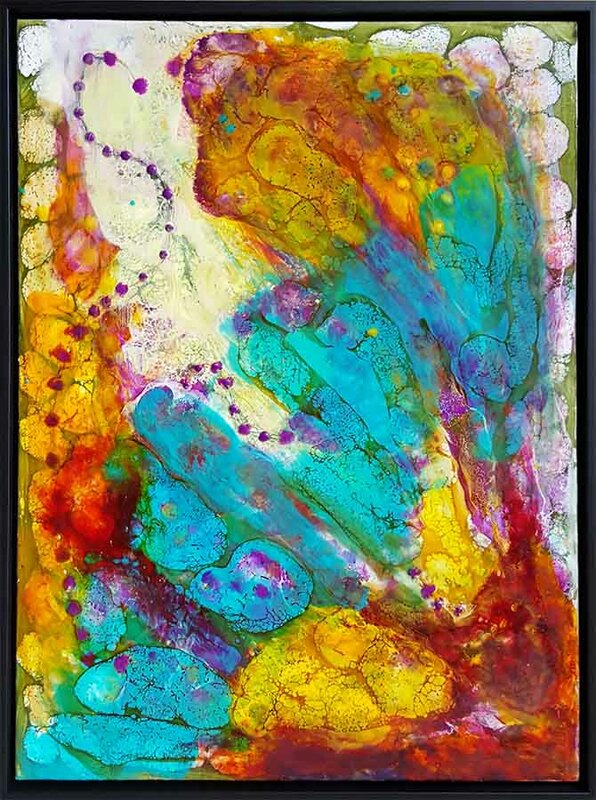 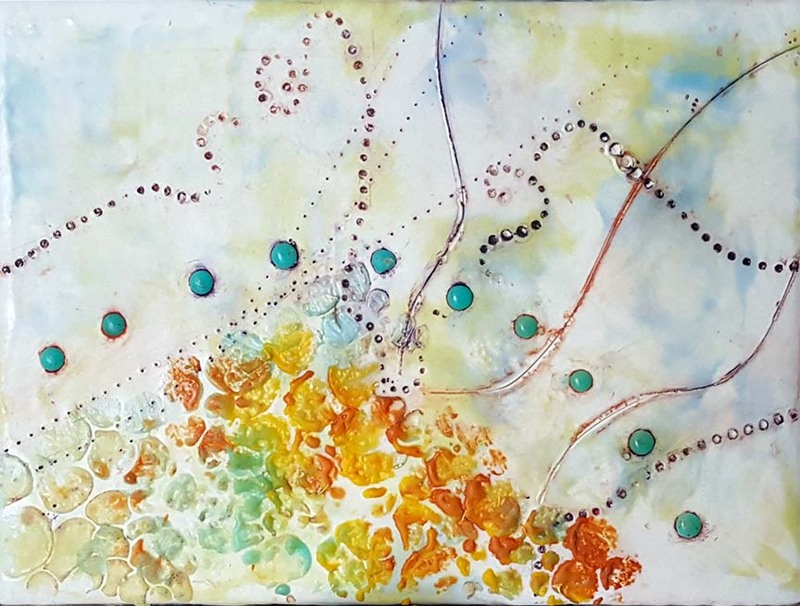 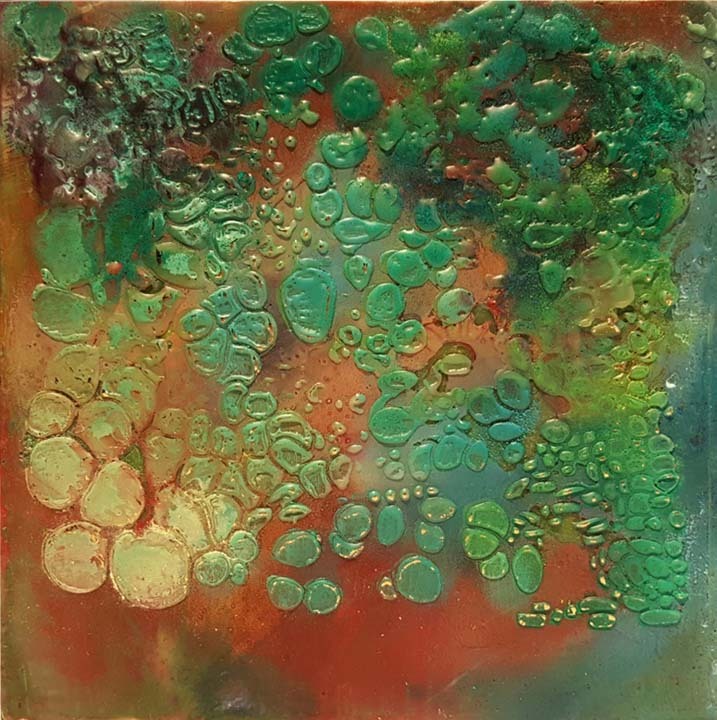 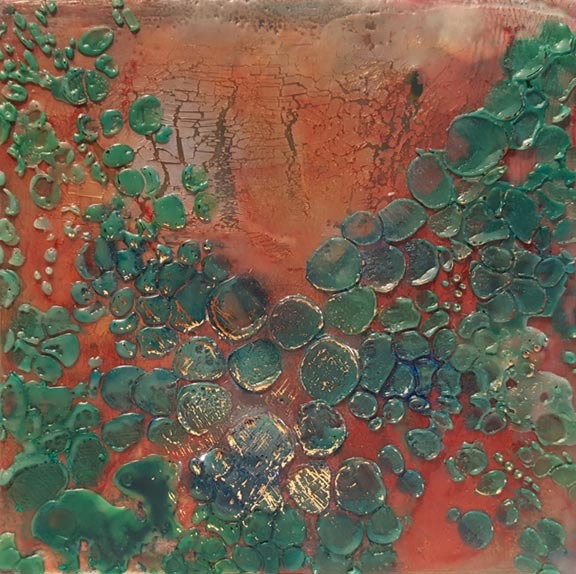 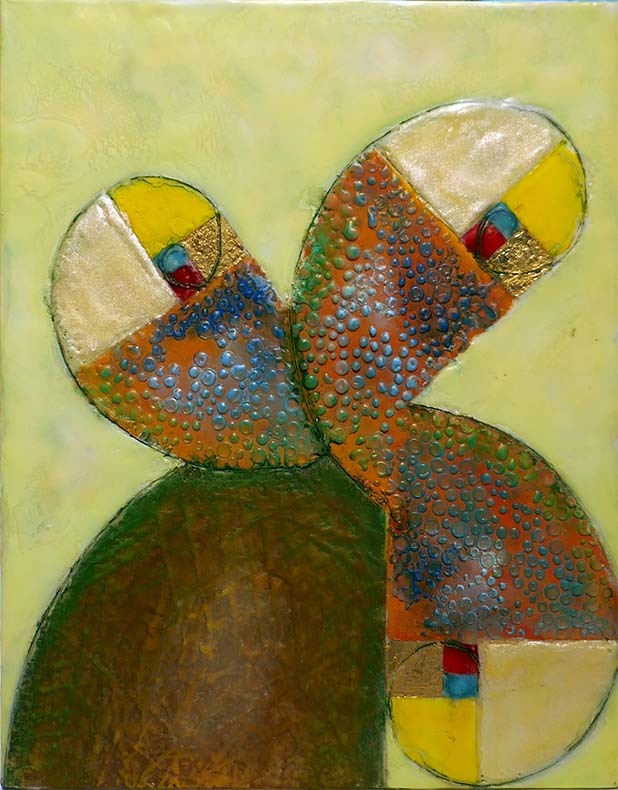 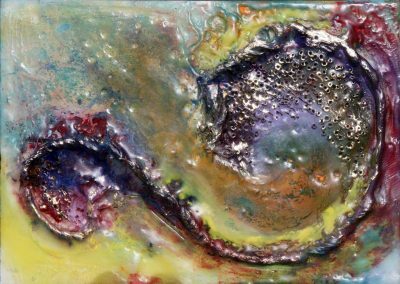 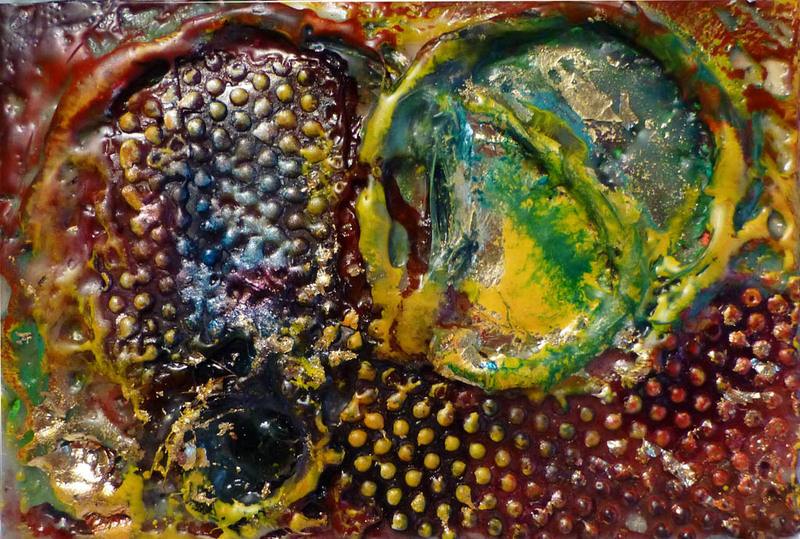 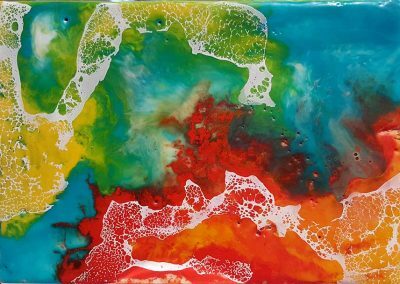 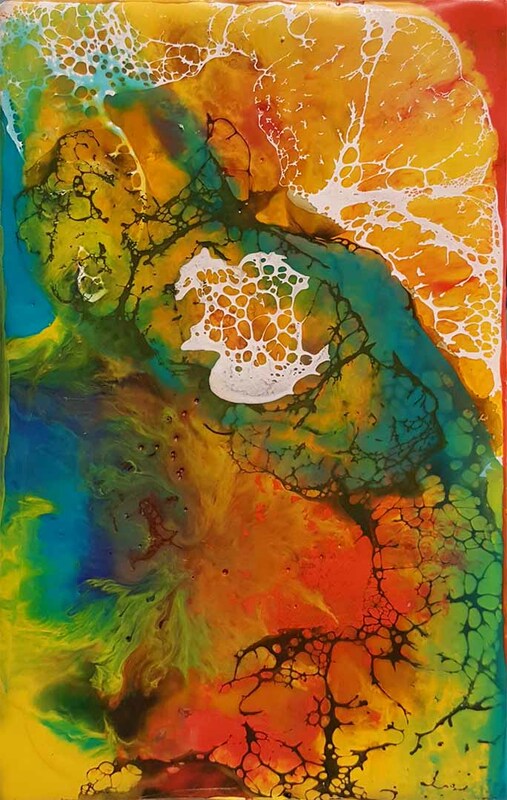 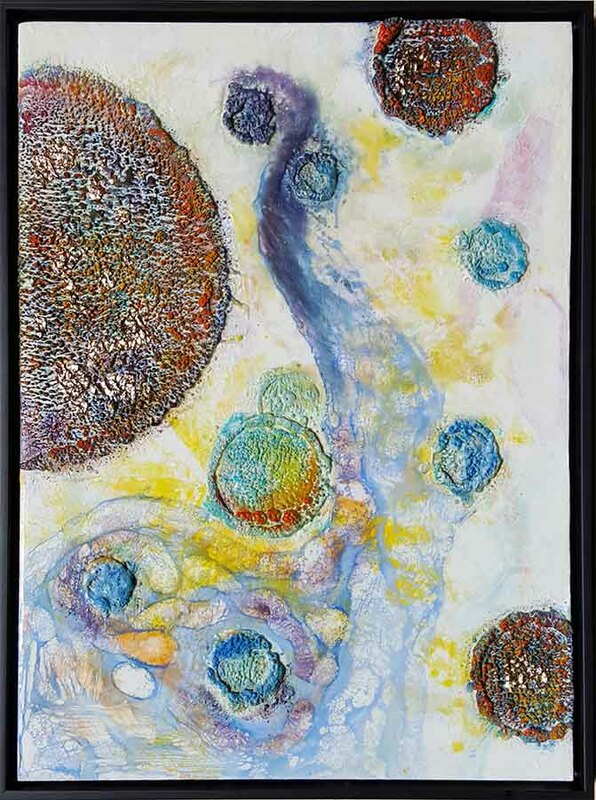 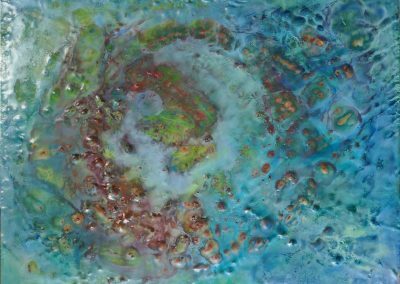 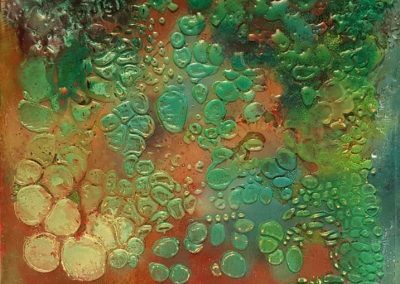 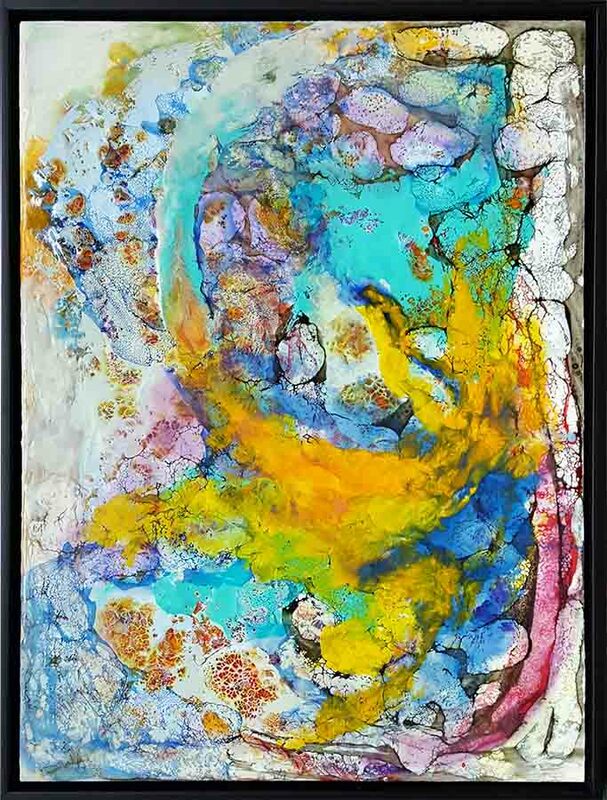 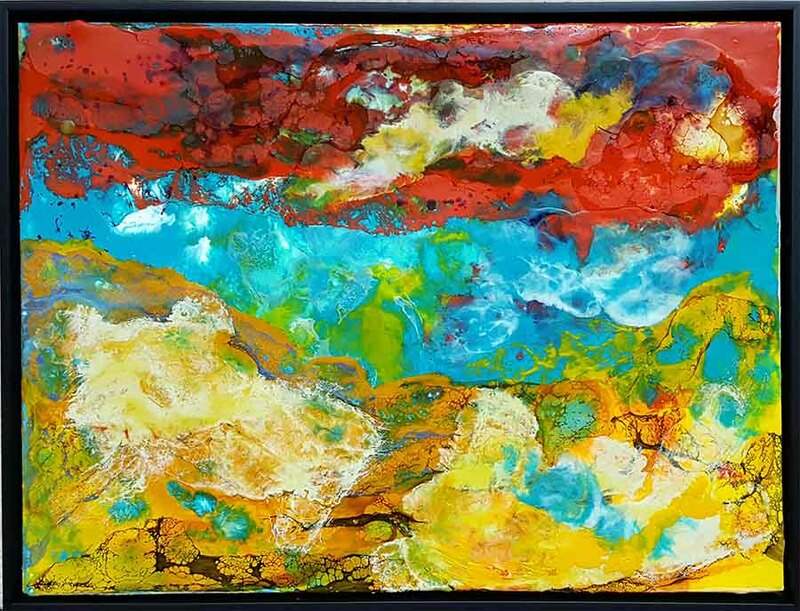 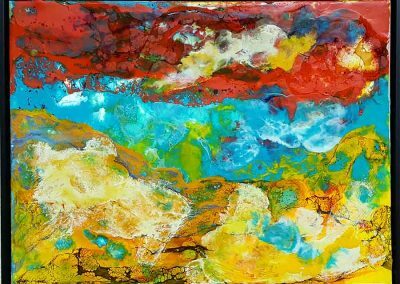 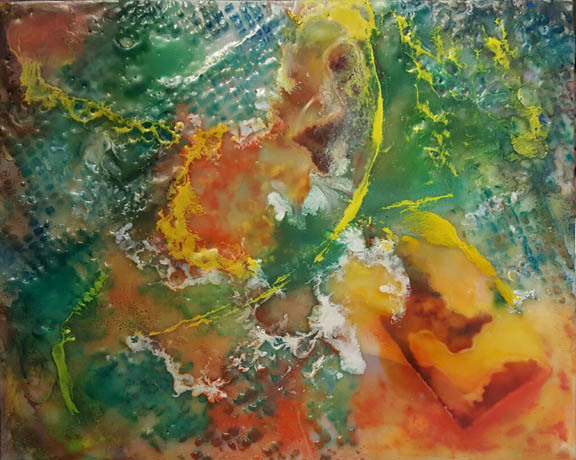 Encaustic and Mixed Media on cradled panel, 6″x8″x1.5″ – $80.